In this videos I show some new features of ZBrush 4R8 like the new 3D Gizmos, Deformers or Live Boolean. 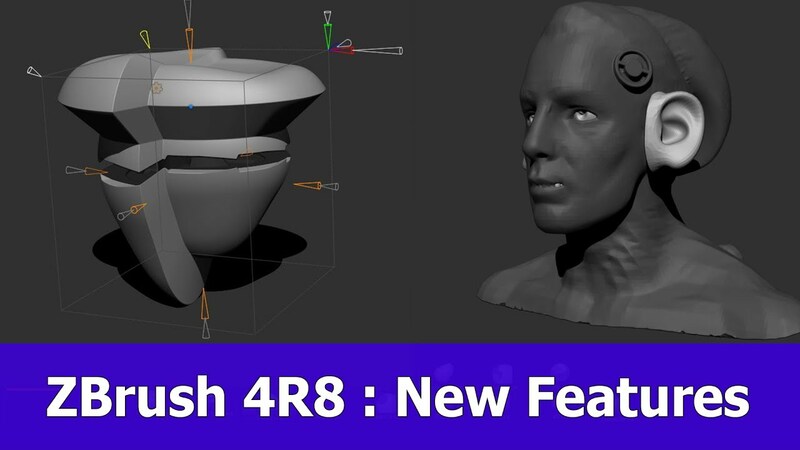 This is the overview video about the new ZBrush 4R8 features that you can just follow along. I explain how to use the new 3D Gizmo, Live Booleans, Deformers and IMM brushes (combined with Live Boolean operations). For the deformers that can be found for the Gizmo feature he uses the Deformer and Expander tools to apply deformations to the current tool. After that he shows how to use Insert brushes (IMM) for human bodyparts and how to make use of the Gizmo for this feature. In the end he uses the Boolean IMM brushes to add some boolean subtractions to the mesh in combination with the Gizmo 3D tool.